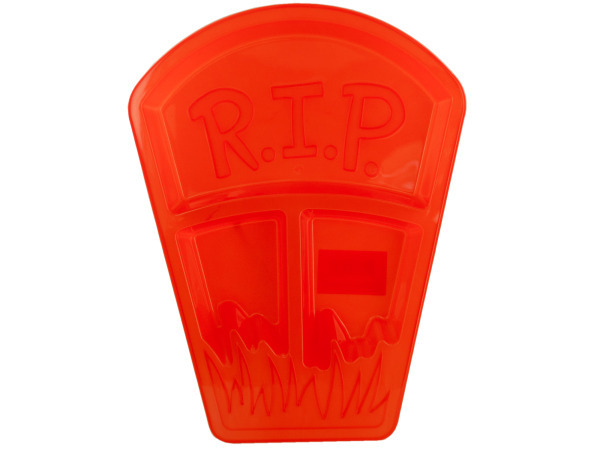 Perfect for handing out candy and as a table centerpiece, this Coffin Halloween Candy Dish features an orange plastic coffin-shaped dish with three recessed sections, "R.I.P" in raised letters in the top section and grass along the bottom. Measures approximately 12.5" x 1.25" x 9.5" x 5.5". Comes loose with a UPC label.